I wouldn't call Cleveland a photographer's "paradise." A "garden" is better because you gotta work it to get some goodies. 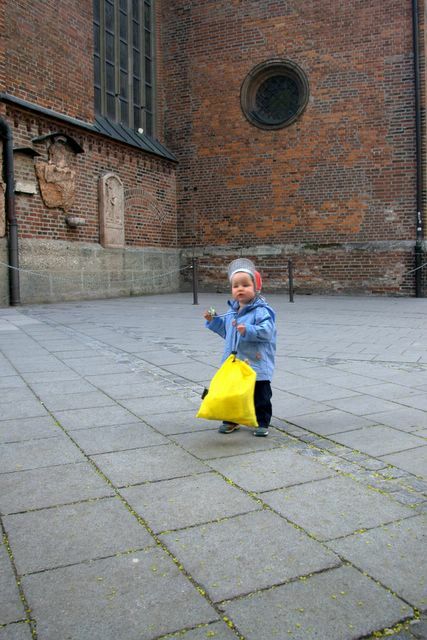 But there many "nice" pictures you can get just by roaming around town. Here's a few. Enjoy! 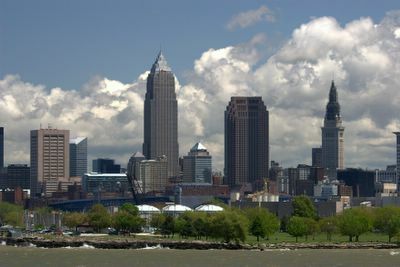 Cleveland skyline from Edgewater Park. Every shooter knows this spot. Best time is early morning to catch the sunrise. This is a mid-day shot and pretty flat but the clouds were great. Cleveland Browns Stadium from City Hall parking lot. How the heck are they going to put a roof over this thing? The Clock Tower at Old Stone Church is no match for the elegant clock towers I saw in Bavaria but this one is simple and solid. Tulips bloom along the Mall. 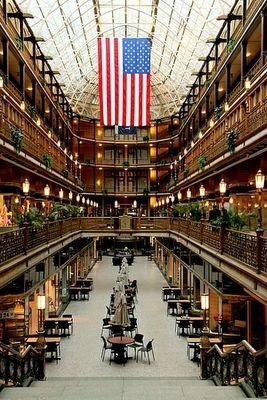 The Old Arcade is still my favorite Cleveland landmark. DaVinci Code: The book that should never have been made into a movie. What's the controversy all about? This is one dull movie. I didn't read the book but had hoped DaVinci Code would be a good thriller along the lines of the "Bourne Identity" series. Instead it was "Raiders of the Lost Ark" without any action or interesting characters. Twisting Biblical sources and making them Gospel, casting an albino as a super villain (maybe they should have used a mime because he didn't say anything important), and playing fast and easy with historical flashbacks (such as millions of "intelligent" women being branded as witches and killed in the Middle Ages), this is the kind of stuff that puts the movie in the same bracket as "JFK", "Troy" "Patriot" and "Kingdom of Heaven". It's interesting entertainment but please don't show them in history class. I won't go into the discussion on the validity of the movie's claims (there are plenty of sources on the Web for that fight) but remember this is Hollywood and it's always about money. The more controversial the story, the better for sales. But let's just say every claim in the movie has little or no evidence to back it up. Seeing Alfred Molina (Doc Octopus in Spiderman 3) as a villain had potential but he basically was only in about three scenes where he gets beat up, carries around a briefcase with bonds stuffed in it, answers his cell phone and finally gets accidentally plugged by his own hired assassin. I love history and speculative theories are O.K. with me to chew on, especially like the ones presented on the History Channel . But in the DaVinci Code, the theories are spewed out as mini-dissertations which stop all the action on the screen. It would be like a football game where every penalty call had to be followed by a long-winded explanation. Many times throughout the movie I would roll my hand around in hopes the scenes would speed up. I'm not Catholic but I don't think they need to protest this one (except that it's a lousy movie). Perhaps it will generate more public interest in the Bible and its origins. That would be a good thing. Munich: Are you ready for some football!?! 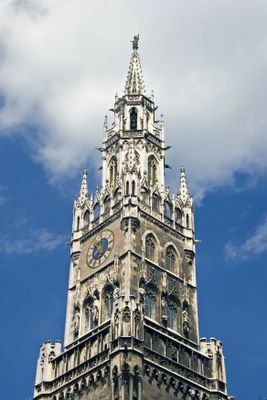 Munich will soon host the World Cup. Before it goes completely sports fan crazy here are some pictures of Munich during normal days. Enjoy! 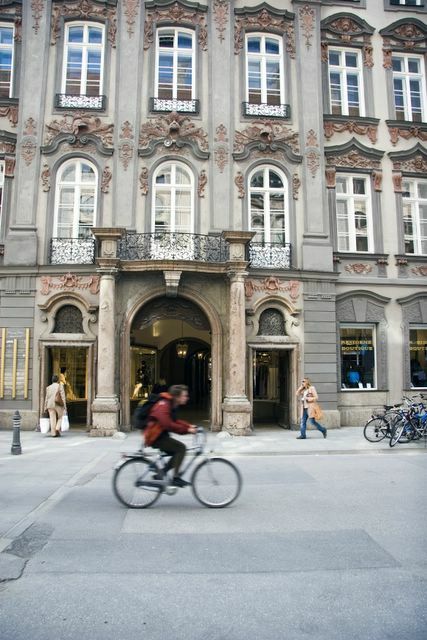 Munich is young and lively with many of the things that make a European city great. 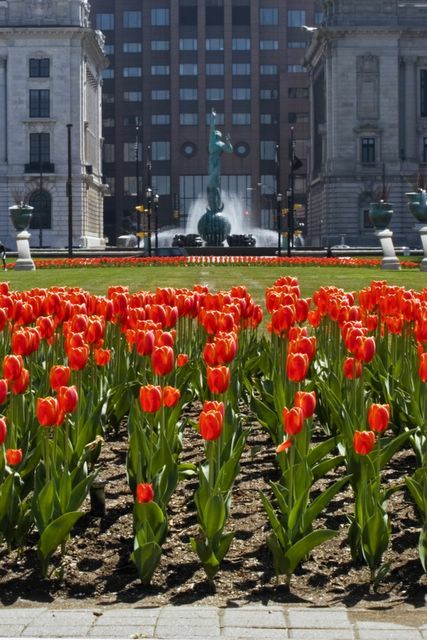 Historic buildings, art museums, shopping, festivals are everywhere. 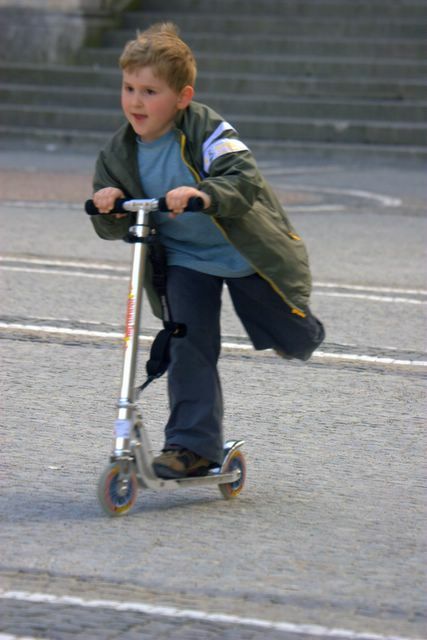 Many Munchens ride bikes throughout the city and towns. 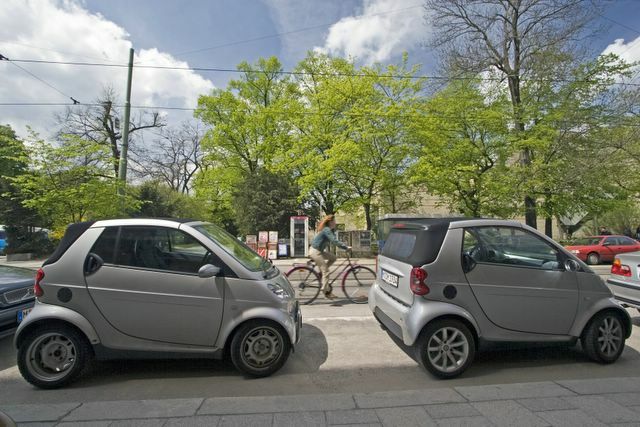 If you live in the city center you don't bother with a car. You just bike around. Munchens shop at the many local outdoor markets. 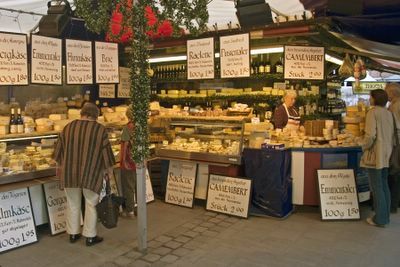 The cheese was wonderful but the most popular places served brews. At one farmer's market they had a stand for beer and shots of something. People lined up at 9am. Beer gardens are also popular and packed in Munich. 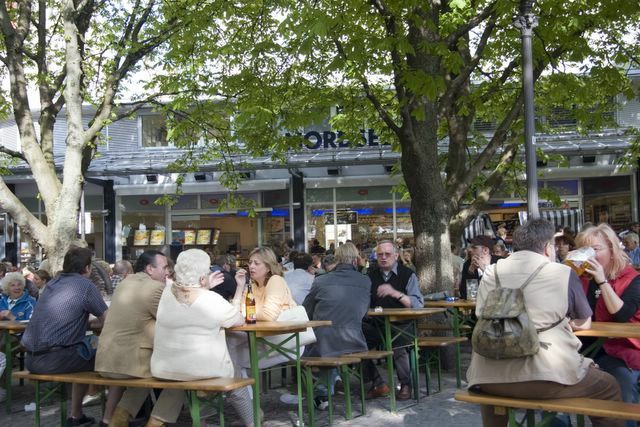 The Germans smoke too much and a non-smoking area is non-existent. 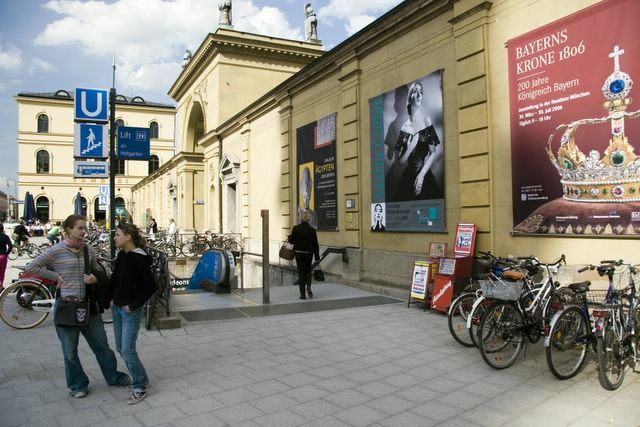 Marianplatz is a popular meeting place in Munich. The Socialists had a May Day rally at Marianplatz where the speakers hurtled insults at capitalists, Americans, President Bush and extolled the virtues of Germany's extensive welfare state. Good plan. The new Chancellor Merkal is popular though. She comes from the old Socialist East Germany but ran as a conservative. 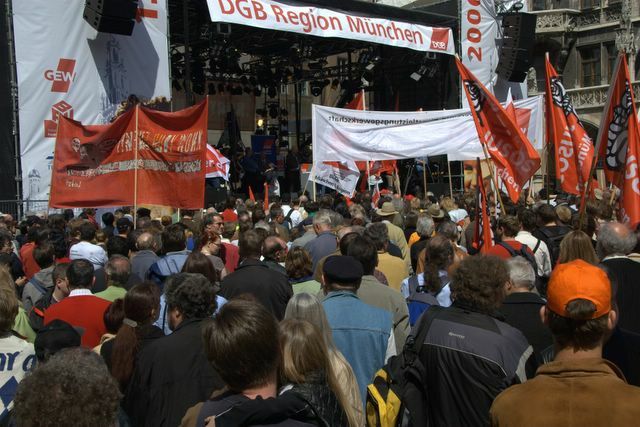 Where's old tough guy Gerhardt Schroeder these days? He took a job with a Russian oil and gas company. 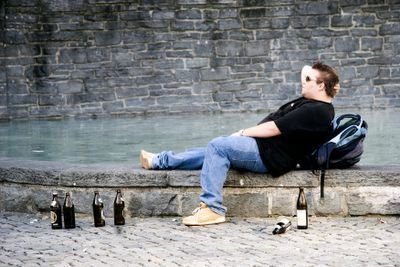 Guess the Socialists know how to make a living as fat cats too? Socialism was never about helping the masses, it is always about power for its leaders. This young couple seemed to like the rally. Jobs are hard to find but the welfare system covers many people's need to not work. But I think this is more the state of mind of Germany's youth. 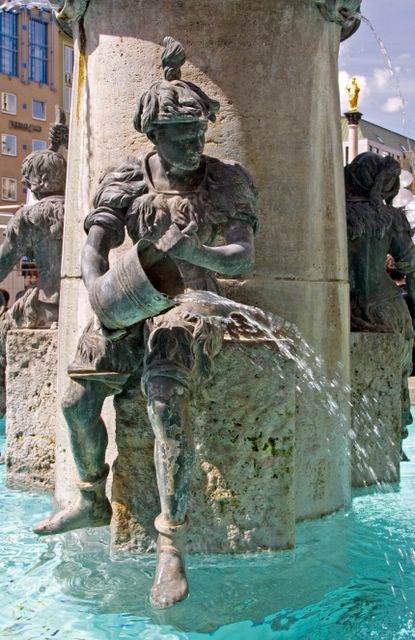 Open container drinking is allowed in Munich so you see many happy, drunk Germans wandering around the city. 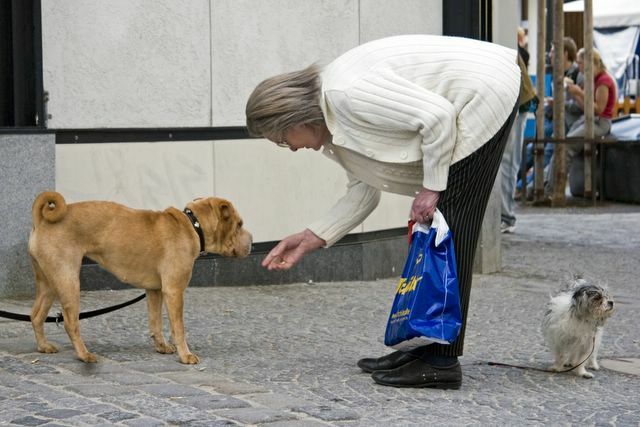 For the most part, Munchens are friendly, gentle people. Pets are popular. They get to ride on the U or S trains with their owners. This man had a pet bird that seemed to like pecking his head. 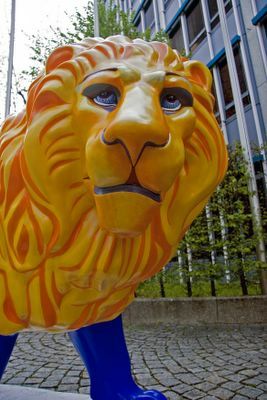 The city of Munich has many lion statues around the city. Each lion is painted with different colors. It reminded me of the rock guitars in Cleveland. 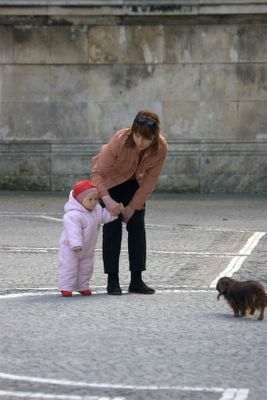 It's about 60 degrees today but this German mom makes sure her little one is bundled up. That's got to be hot in that little suit. Here's a little one with a shopping bag. 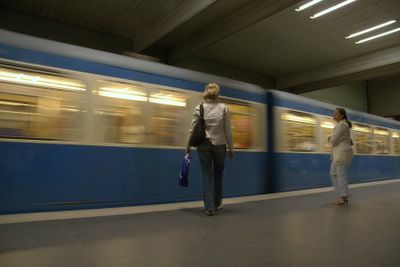 The U makes it easy to get around Munich. I love this system but we found it strange that there are no ticket gates. You buy a ticket but no one is there to take your ticket. There are small boxes where you can stick your ticket in and it "clicks" it. So why bother buying a ticket? A Munchen explained to me that Germans are very law-abiding and always buy tickets. O.K. I got to say that's a great compliment but we never saw anyone buying tickets or getting clicked in the little boxes. We stood at the box to get our ticket clicked while everyone whizzed past us. It made us feel like dumb tourists. Another way to buzz about Munich is in Smart Cars. These little wonders are very cool two-seaters. They will be coming to the United States soon. In the early 80's I used to work next door (L&M Stagecraft) to the Tower Press Building. Back then it was a delapidated old building but it always had this cool tower. 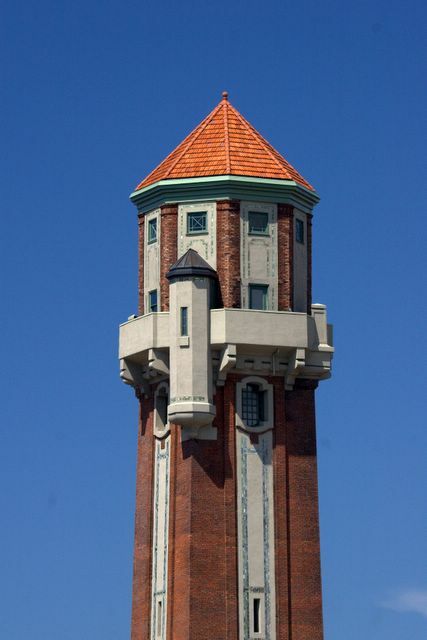 I love what they've done with it by rehabilitating it and selling loft spaces. On a recent crystal clear morning I took a few shots of the tower with its glistening roof. Enjoy! 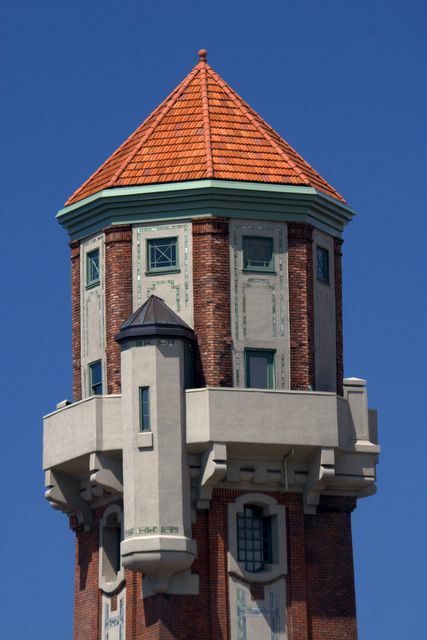 Tower Press Building far range view. Tower Press Building medium range view. Tower Press Building closeup view. Final: Detroit 79, Cleveland 61. This doesn't surprise me. The Pistons finally played the way they should. Mike Brown did a great coaching job but it's hard to beat the same team four times in a row especially if you are the underdog. Eventually they catch on. It was a great playoff run for the Cavaliers and now they can re-tool for next year. Some serious concerns are center. Z can get you to the playoffs by helping the team win lots of games but he was only marginally useful in the Detroit series. Also, what about point guard. 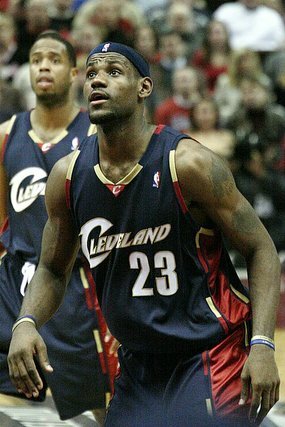 Where do we go with Eric Snow, Damon Jones and Flip Murray? I like Snow but is there an upgrade? The off-season might have some interesting possibilities in the free agent market. After seeing the Cavs going fairly deep in the playoffs, the top available talent might give Cleveland a strong look. 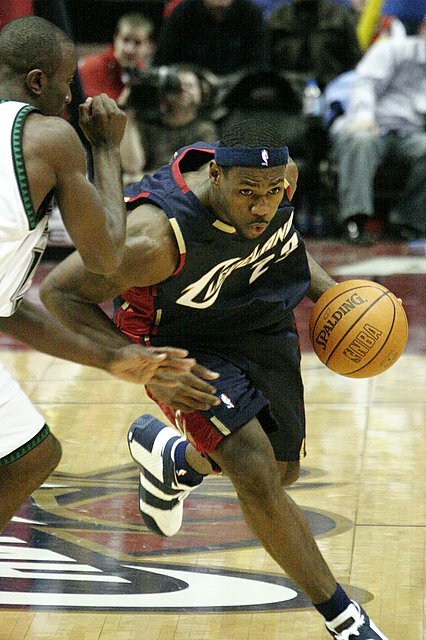 We need Larry Hughes for a full season. He really is the key to any title considerations. Like Jordan-Pippin, Hughes-James can be the duo superstar combination needed for serious title contention. Hughes has already indicated that he wants to talk to the coaches in the off-season about how he can be more effective. Let's hope a new offensive system emerges. So no sulking Cleveland! This was fun and more is to come next year. Don't worry, he'll be back! 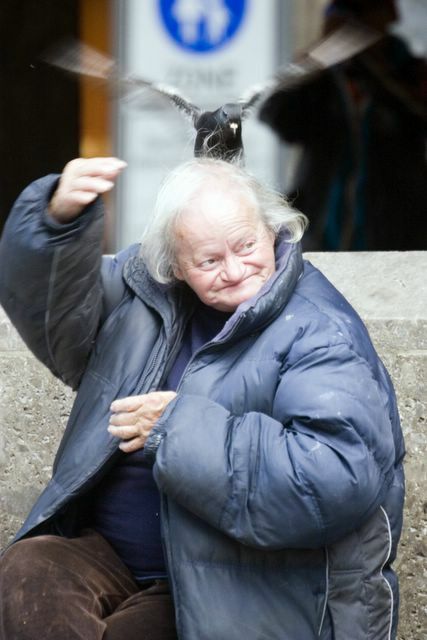 I don't know what he sees but never bet against this guy. The three victories over Detroit are incredible. What I like best is that, as a team, they've totally changed their play beginning in the second half of Game Two. They realized they couldn't try to outplay the Pistons, so the Cavaliers had to clamp them down, force them into a half court style of play and just grind away. Reminds me of the old Mike Fratello days with scores in the 80's being pretty routine. There much to love about this team. Away we go! What's not to love about Munich and Bavaria? Plenty of historical churches, palaces and clock towers go with the joy of the AutoBahn (I hit 107 mph), pork roast, schnitzels and apple streudel. It's a beautiful place. 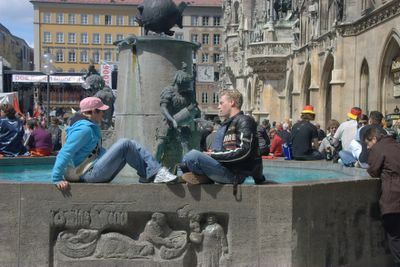 The Bavarian people are very friendly to Americans and the weather was perfect. Enjoy! 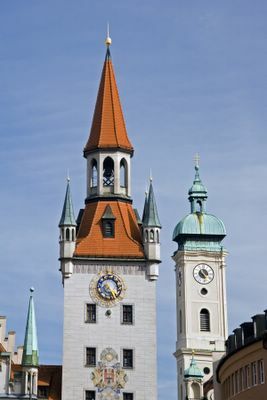 Some of the many towers seen from the Marienplatz (St. Mary's Square) , in Munich. 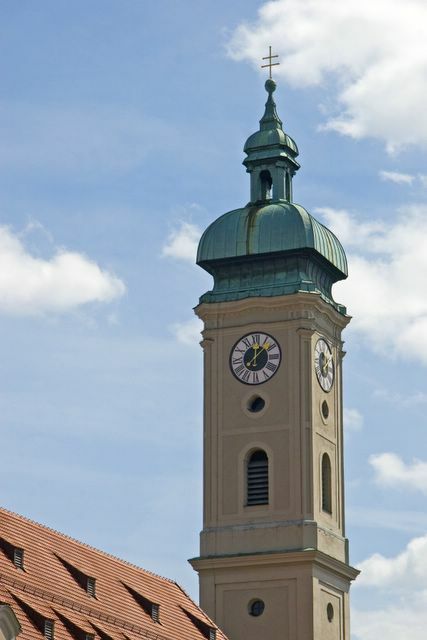 To the left is Altes Rathaus (Old Town Hall), and to the right is Peterskirche (St. Peter's church). 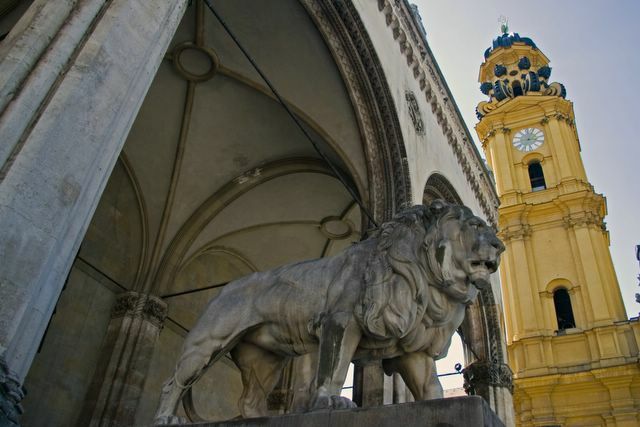 The lion stands in front of the Feldherrnhalle, built in 1844. The church in the background to the right is the Theatliner finished in 1768. Both are prominent buildings onthe Odeonplatz. The Fish Fountain on Marienplatz is a popular hang-out and meeting place. 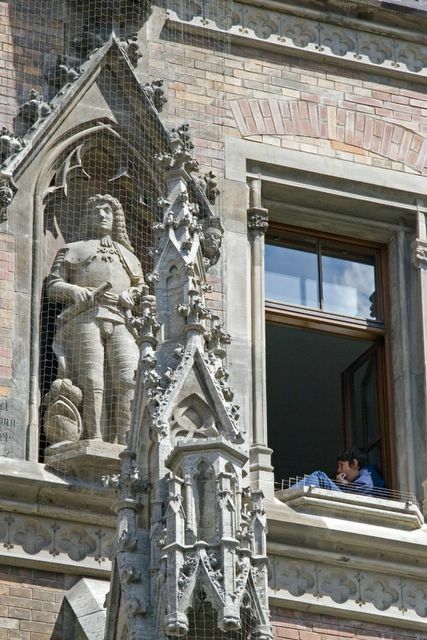 Many ornate sculptures can be found on the Neues Rathus (New City Hall). Munich is filled with towers of all types. 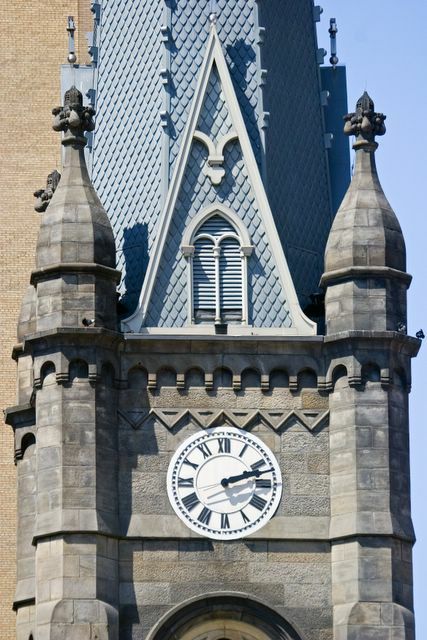 Clocks, church steeples, clocks and church steeples, and columns are everywhere. Here's a few from Munich. Enjoy! 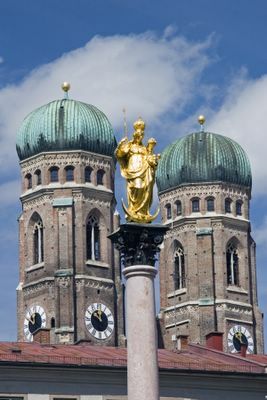 St. Mary stands on a column overlooking Marienplatz. 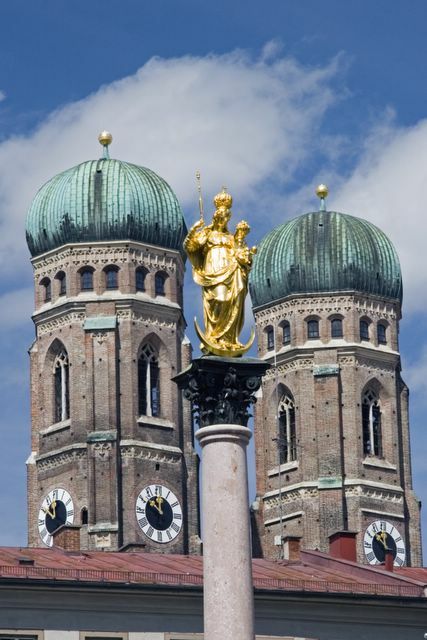 In the background are the twin towers of the Frauenkirche, one of Munich's most prominent landmarks. 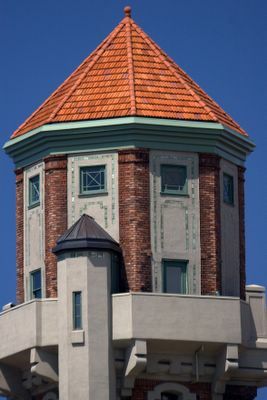 The "onion" domes are typical of Renaissance architecture. The tower of the Munich Neus Rathaus (New City Hall) is the tallest in the city. 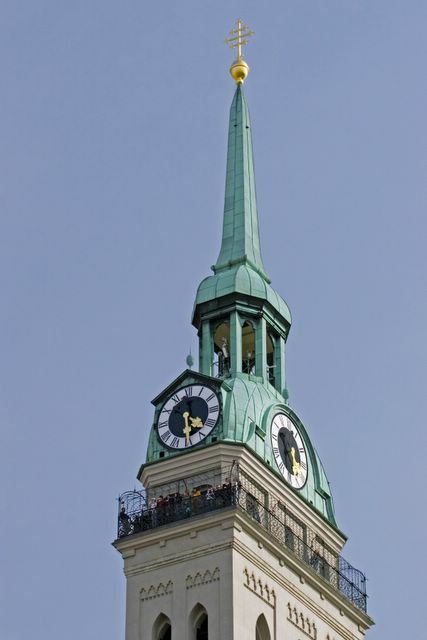 Peterkirche (St. Peter's) Church tower with observation deck is Munich's oldest building. It was begun in the 11th century and the structure as it stands was remodelled in the 17th century in the Rococo style. 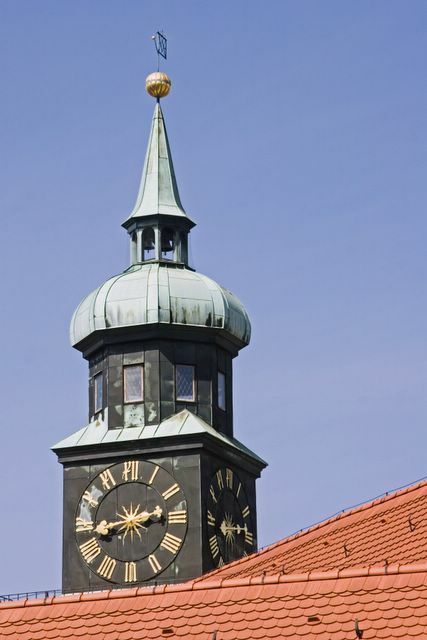 This clock towers can be found in the middle of the Residenz, the home of the Bavarian royalty from the 14th century. Another view of Peterkirches (St. Peter's).